If your student’s in the midst of applying for colleges, you probably know there’s an essay involved. (At least one.) And maybe writing comes easily to your student…or maybe it’s a huge struggle. But either way, when your student is sitting in the living room, frustrated and stuck for words, here are 7 writing tips you can give to make your student’s essays easier. Before we worry about editing, you’ve got to have something to edit. Here are ways to get the words down on paper. 1. Write an awful first draft. I’m sure you know this already. But they’re never going to write anything that way. Perfectionism is the kryptonite to creativity’s Superman. The ill-timed rainstorm to creativity’s newly-straightened hair. The nail to the tire on creativity’s car. Drill it into your student’s head. For their first draft of their essay, just have them put down one word after another. Tell them to close their eyes and type. Type literally anything that comes to mind. Talk about the TV show they watched last night, the fact that they’re bored, the color of their wall. Just as long as they get their fingers moving, and they start putting words down. Here’s the beauty of the first draft: nobody has to see it! And nobody will see it. Give them the freedom to write down literally anything, even if it sounds like a third-grader (or an electric blender) wrote it. Because your student can always refine, touch up, rewrite, rework. But first, they need something to work with. And a blank page is nothing to work with. 2. Start writing about something else entirely. Great prompts. Open-ended prompts. …Intimidating prompts. Not dissimilar from the now-obsolete Blockbuster Syndrome (in which you have a billion movies you’re dying to see, but forget them all the second you step into a video store). Keeping the awful first draft thing in mind, have your student relax. Breathe. And just…write about something else. Or start writing about something as a joke. It might seem like a waste of time–but it’s not. Because it’ll get their brain is loose and relaxed. And when your student’s not stressing out about the fact that their essay hasn’t materialized yet, but just letting their brain hum along…that’s when something will spark the perfect memory they’ve been looking for. 3. 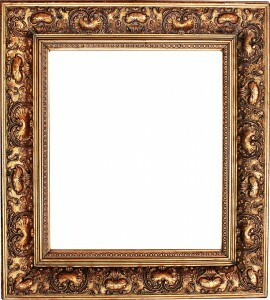 Use the one-inch picture frame rule. Another one of Anne Lamott’s bits of advice from Bird by Bird. I’ll sit back and let her take this one. “Often when you sit down to write, what you have in mind is an autobiographical novel about your childhood, or a play about the immigrant experience, or a history of–oh, say–say women. But this is like trying to scale a glacier. It leaves me winded. I go back to trying to breathe, slowly and calmly, and I finally notice the one-inch picture frame that I put on my desk to remind me of short assignments. It reminds me that all I have to do is to write down as much as I can see through a one-inch picture frame. In other words, when your student’s ramrod stiff with fear at the idea of boiling down their entire heritage, culture, and childhood to fit inside a 500-word personal statement…put your hand on their shoulder. They don’t have to do it all right now. Right now, right this second, they just have to write as much as they can see through a one-inch picture frame. I know, I know. I was in high school once. And it started at the crack of dawn. So, writing in the morning may not be an option for your high schooler. But if it is, and they find themselves struggling with words in the afternoon, encourage them to write in the morning or evening. In the evening, things are winding down, you don’t have a ton of distractions, and you’ve got the whole day’s inspirations behind you. For more of this sort of information, check out Quicksprout’s article on thinking and writing creatively. Now that your student has their first draft ready, it’s time to clean it up. 5. Print it out. Then slash out all unnecessary words. These personal essays usually need to be short. And if your student really got into the groove during the “creating” portion, they’re going to have a lot to cut out. But believe it or not, that’s actually a good thing! It ensures that their final draft will really say only the most important things, and it’ll say it as directly as possible. This is my personal philosophy with editing. Feel free to take it or leave it. 1. Print it out. Have something physical your student can read through, cut up, flip around, mark up with red pen. 2. Have your student sit down and read through it with a red pen. The red pen is for crossing out. Sections that seem like they’re sort-of getting at the story your student originally intended. 3. After they’ve suitably marked up their rough draft, have them head back to the computer and delete everything they crossed out. Here’s the part where they can seriously reorder. They shouldn’t be afraid to get their hands messy! Did they find a line somewhere in the middle that actually works way better as an introduction? Does the introduction make more sense as a conclusion? Is the third paragraph about fishing with grandpa 100% unnecessary? 4. When they’ve reordered their second draft, and they’re feeling okay about it, have them comb through for spelling errors and grammatical mistakes. 5. Repeat steps 1-4 until they’re really really really feeling solid about it. Doing six drafts is normal. All great writers have to struggle to get their words on paper. Embrace the fine-tuning process. There can be something really magical about slowly washing away the river muck to find the flecks of gold. 6. After you’re a couple drafts in, get a trusted friend/relative/teacher to look over it and give you tips. Once your student’s got a solid essay on their hands (or at least one that they’re not reluctant to show the outside world), encourage them to get some other eyes on it. Your genius neighbor. Do you have a neighbor who wants your child to succeed, and has stellar writing/grammar/spelling knowledge? They’ll be removed enough to impartially read about family stories, and warm enough to give the constructive criticism you’re looking for. Their tutor. Are they getting tutored in any school subjects? Their tutor’s a perfect person to read through their essay and offer tips, because it’s their job. You’re literally paying them to help your student get into college. And while teachers, neighbors, or friends might be busy, tutors are essentially required to help. 7. If possible, start writing WAY ahead of time. Then let your draft sit and come back with fresh eyes. Has your student fixed up their essay, gotten feedback, made their changes…and they’re still not 100% sure about it? There’s a chance they’ve been working too closely with it for too long. Then they’ll have their winning essay. Don’t be afraid to write an awful first draft. Start off writing about something completely off-topic. Follow the one-inch picture frame rule. Write in the morning (or the evening). When they’re editing their first draft, have them print it out and start crossing things out with a red pen. After the first couple drafts, have someone else look over it. If possible, let it sit for a couple weeks, and then have them come back to it with fresh eyes. Do you have any solid writing tips, or essay success stories from your students? Share them in the comments!